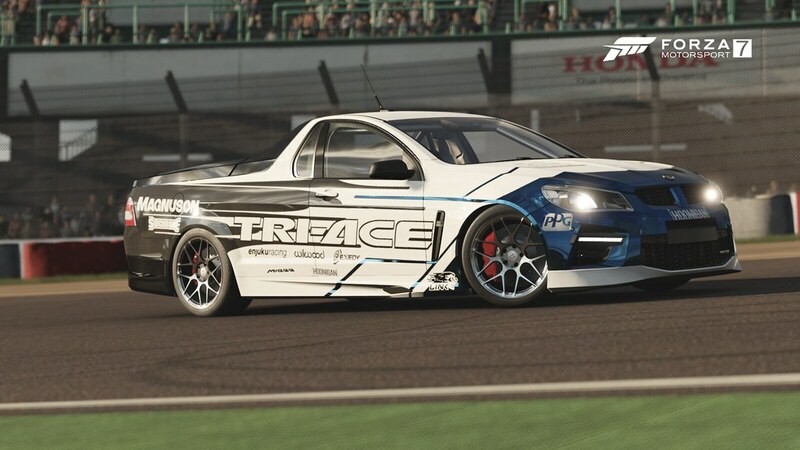 FYI ... Josh's drift Ute is part of the FM7 Hoonigan car pack. So you'll need to have pre-ordered the digital version of the game to get it. And I'm assuming that it will be available right from launch since it's a pre-order bonus car and will not be available in the base game. @NitroDrift .... shhhhhhhhh .... don't be giving any tips or tricks out to your competitors ... lol. 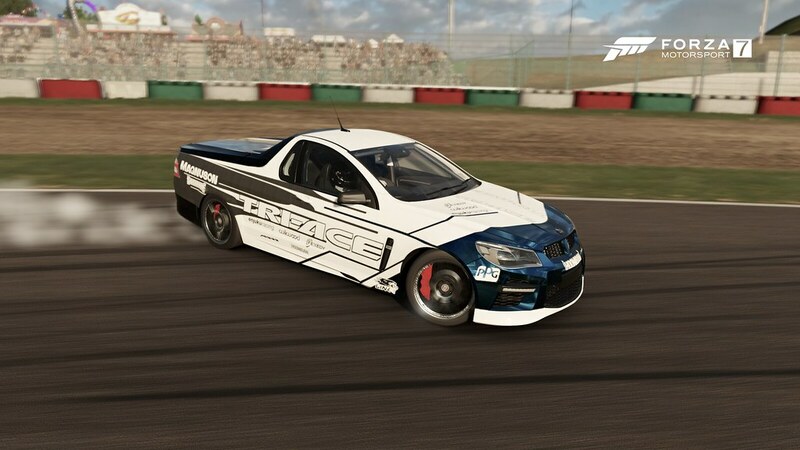 Because for me the only ute that is part of the FM7 Hoonigan car pack was the Hoonigan VY SS ute? Well ... looks like we may need some clarification on which car to use. I made my post before actually being able to start the game. My post was based on an IGN article about the Hoonigan pack that said that Josh's car was in the FM7 Hoonigan Pack. 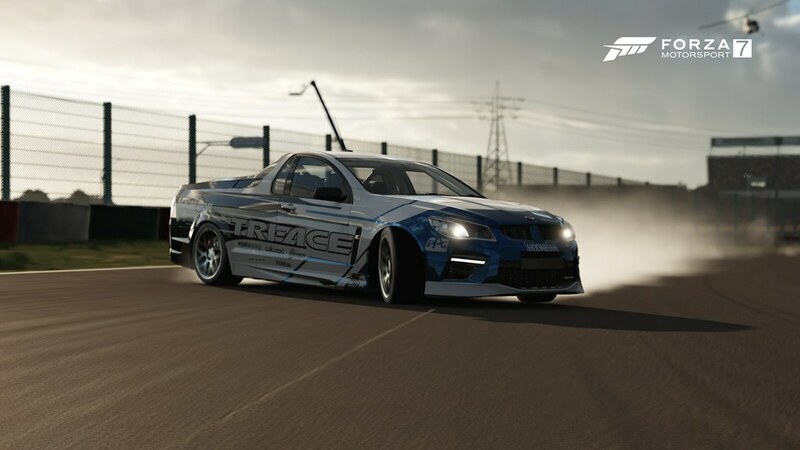 The Forza Motorsport 7 Hoonigan Car Pack will include the same cars with one exception; the Blazer will be substituted with Formula Drift driver Josh Robinson’s 1000+ horsepower Holden Commodore Ute. There aren’t any screenshots of this one yet but you can get a taste of this antisocial slab of antipodean engineering tearing up the Hoonigan Donut Garage here. But yeah, now that I am in the game I see what you mean. 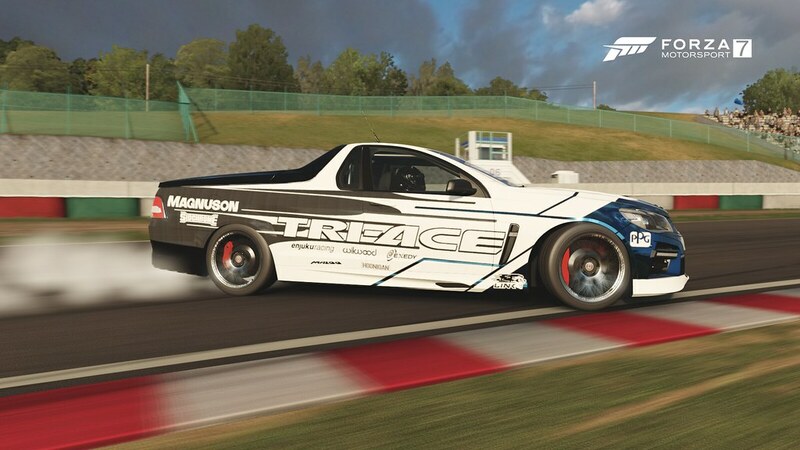 I thought Josh's current drift Ute would be there with its complete FD livery. So Josh or any T10 mods or devs .... exactly what car are we supposed to paint? 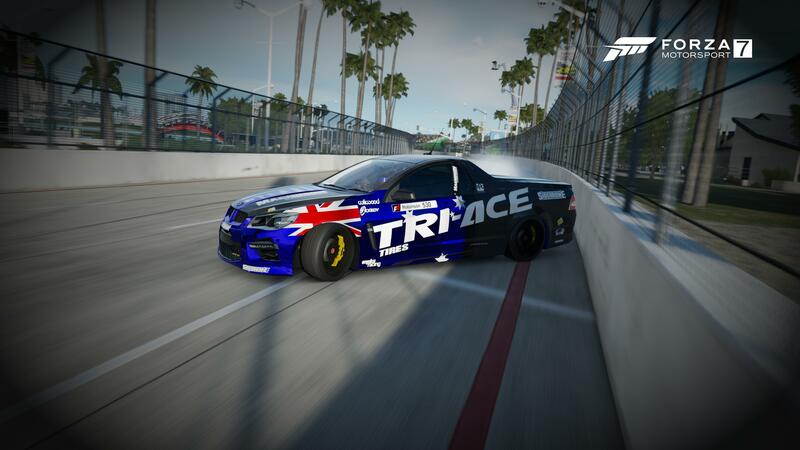 Got the Ultimate edition, but on disk, so that might mean then if it's the ute from the Hoonigan pack [which I hear is digital exclusive], I will be out for this design competition [SAD]. Clarity on this would be nice. 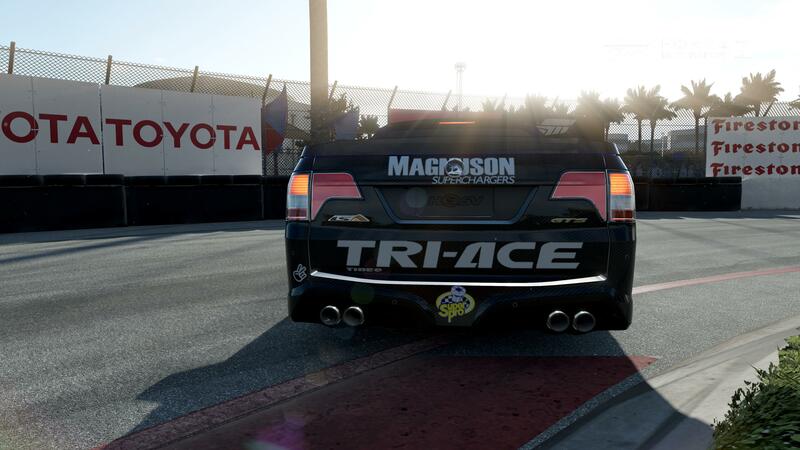 Josh Robinson's Ute is NOT the Hoonigan Ute. 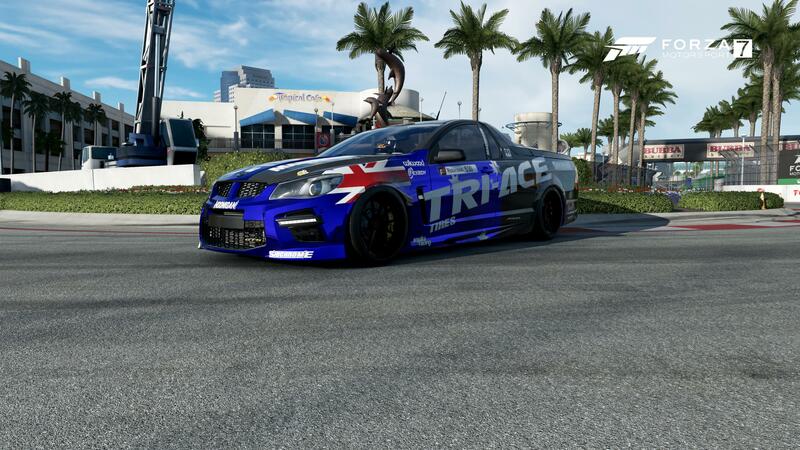 However, you can use any late model Holden Ute as the canvas for your design. Or you can use the VW Bug, however the livery may not stretch to the same dimensions as the vehicle the winner's design will be applied to. So we won't be disqualified for not using the exact vehicle? Just want to be certain. The best bet would be to use the HSV Maloo GTS since it's the shape/model as his ute. Thanks John, I'll go for the HSV Maloo then. All logos just about done, so Josh's ship can start sailing. Could you accept Forza Horizon 3 as i dont own forza motorsport 7 till christmas? Logos are all done, now for the fun bit... what to do with them!! I hope you like it Josh, I'll definitely be looking out for you next season, maybe I'll even get to meet you at FD Texas! Do we know what number you would like done, Josh? Almost done, got time for a few tweaks. It's great to see some designs coming along. I can't wait to see how the rest of them turn out. There was a question about accepting entries from Forza Horizon 3. 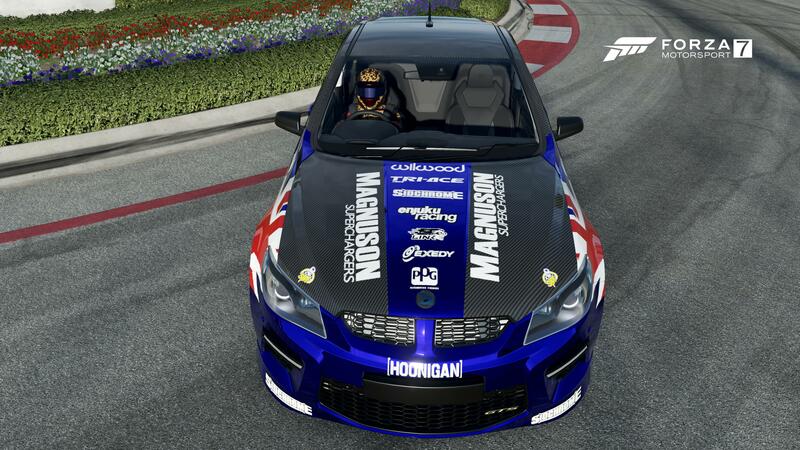 This was meant to be a Forza Motorsport 7 contest so we probably better stick with that concept. I'll hit up Josh to get him to chime in again about any further likes and suggestions. Do you mean in terms of race number? It's 530. Thanks! Hello everyone. I am not a “forum guy” at all. A friend sent me a link and said I should submit an entry. My problem being: how in the heck do you get a picture from the Xbox onto here? Any help would be greatly appreciated, and sorry for being such a grommet. You would take a photo in-game, then share it when offered. Then come back here to the forums, at the top of the page, go to community, then my Gallery, and your photos should be there. Copy the link from the address bar, then come here, post reply, there's a box above with some hills and a sun in it. Click that, paste the link into there, your picture should show up here. Or, you can take a screenshot, upload that to your Onedrive, download from there then upload to Flickr. From there you can use the bb code (desktop version only) and paste that into the same place.